Cheap flights to Japan: Tokyo for only €434! 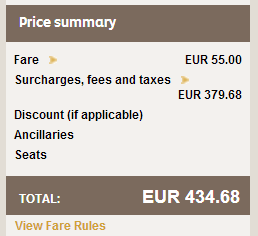 Etihad Airways now offer cheap fligths to Japan from Germany. Return flights from Frankfurt to Tokyo are available for only €434! Travel dates are in June and there is a limited availability so you better book your tickets as soon as possible. « Cheap flights to Morocco: Marrakech from Berlin for €87!